It’s the shortest day of the year today, the longest night and the beginning of longer days. It’s such a subtle shift that we barely notice although many of us celebrate it various ways. And yet, it is also a transition that occurs in every moment of our days and nights. Everything, every experience progresses through the same cycle – large and small – of arising, lingering, and fading away. We only notice the larger cycles such as birth, life, and death mainly because the more subtle changes tend to get swallowed up in the forward momentum of our lives. And yet… here we are. The larger cycle of one year moving out and another coming to the door. When I look back on this year passing on, it’s breathtaking in how it rattled, crashed, and banged to this moment! Last year, I looked to the arriving year with such anticipation of joy at the travels, connections, play, and work that 2018 promised! All of it did happen, though not as I had envisioned! The travels were hectic and rushed, but the places were more delightful and times with friends so joyful despite my fears that being fatigued and away from home would interfere. In all the forward propulsion from one thing to another while balancing health issues and family needs, the smaller cycles of spaces emerged: breath in, pause, breathe out. So often in our imaginings of things to come, we forget the spaces between events. Those moments, days, weeks when we have a chance to exhale, rest, and take the next in-breath. My clients often say that there isn’t a moment to breathe. There isn’t a moment to pause because there’s always something happening, derailing, demanding, changing. From the process of breathing to the nerve-rattling cacophony of everyday life, there are large and tiny things that offer us a chance to practice this noticing of always.something.happening. The intent of mindfulness – along with the seductive call of meditating to feel relaxed – is to notice how we meet the wave of arising, lingering, fading in our experiences. Of course, what we tend to do is brace when feelings arise, clench when they linger and feel anxious when the experience fades away. This is particularly true for unpleasant experiences. As for pleasant experiences, we may not actually be aware of the arising, yet cling madly to the lingering, and feel frustrated when it fades. The more we practice noticing the wave of experience, however, we eventually begin to notice that – like the light of solstice – the fading of one experience accompanies the arising of another. Winter offers many such opportunities to practice this pausing. It begins with a period of slowing down, connecting with family and friends. If we create the space, it can become a time to reflect on past and present experiences. It is a time of setting intentions for who we wish to become, noticing who we become in every experience. For me, this last practice – who am I becoming now? – is the most powerful simply because it challenges me to take note of how my actions and words are consistent with who I want to be. And, because it is so challenging, I relish and seek out the spaces of quiet and silence where I can hear that soft-spoken voice reminding me of my intentions. I, along with all of our teachers and staff at the OMC, wish you and yours a season of joy and love, of compassion received and given, and of steadiness in the flow of all that arrives, stay, and leaves. 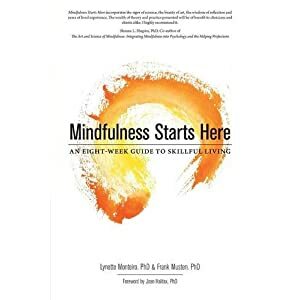 Previous Is Your Mindfulness Program Trauma-Sensitive? 3 reasons you need to know and 3 questions to ask.